My theory then, and certainly still today is that those people around us merely reflect back to us, pieces of our soul that we are unaware of. This is absolute. So every single person in your life, from the person one hundred yards down the street that you’ve never met nor never will, to the crazy person in traffic, to the bully in work, to the people on TV for a split second as you surf through the channels, they all vibrate with you on some level, they would not enter your consciousness if they did not vibrate with you. A soul retrieval is a process a shaman may go through for a person who seeks his help. The shaman may sing or play a drum or work with a medicine, to take himself or herself on a journey, and perhaps, may encounter a fragment of the persons soul, and help to return this missing piece to the person. I received two pieces of my soul a couple years ago working with a shaman. I assumed that I was complete then, I never considered that perhaps my soul might be scattered into many many pieces. Perhaps my soul is the whole world, the entire population of the planet, and beyond. However, I have a different take on this. The angry person has been sent by my Higher Self, to interact with me in a way that generates that charge within me, that reveals to me this pocket of previously unseen discomfort, so I can have an opportunity to make peace with it and heal it within me, filling up my heart a little more with my own love. As I began doing this work last year and working through it using steps I have developed and now use regularly (which is the purpose of my course for women), I began to visually see at times, entities, some demon like, what some may call frightening or gruesome. I learned as I continued this work that love transformed the vibration of these beings. I further learned that they were not separate to me, but indeed were part of my own soul, and perhaps took on the visual representation that would most frighten me, or challenge me, to test me. Could I embrace all of my Self, even the “ugly” parts? They were pieces of my soul I had sent out to gain experience exploring various lower vibrationary works. In Gods world, in consciousness, there is no good or evil, this is mans duality, there is only experience. Consciousness is the dark and the light. And wisdom comes from experience of all situations and challenges. Consider the hardest challenges you’ve faced in your life, reflect on the wisdom you gained from these experiences, you are wiser, you have a greater understanding of how the world works, a greater awareness perhaps of your own strength when tested. So our time in the darkness does indeed benefit us, it develops our character. And over our lifetimes we’ve explored many dark avenues. So as we become complete with these experiences, the pieces of our souls return home to us as this restless dark energy, but we, in this egocentric world feel its unspiritual to feel these lower emotions within us. This is one example of where modern spirituality is off track and can be ignored. In reality we are denying our own pain, our own growth. We are rejecting those parts of ourselves in pain. There is little spirituality in blaming other people for a vibration you find within yourself. The “toxic” person merely reflects that vibration back to you. A whole being, is a spirit that has fully integrated all facets, including the shadow, including our darkness, our pain and shame. Any great master has worked through loving and integrating his shadow side, be it in this life or a past life. Denying ourselves these pieces is merely the ego grappling to remain in control. My shame, and guilt, my fear of failure as a man, that I am too old to make anything of my life now, that I never achieved success or financial wealth, that I could not love my partner the way I felt she deserved. All these pains are human. They are so vitally important as our experience here in this human suit. We came here to play this human game, to experience these human trials. To evolve, be it leave the game, or evolve into the next level, we must bank these experiences, own them, integrate them, not ignore them, and not skip over them by “thinking positive”. I am much greater than my seemingly unsuccessful human experiences, I am much greater than this collection of pains and struggles. But they are part of my character. They are scars of journeys that I must honour, for I am God, there is no shame in the pain we carry. What I have written about above feels right to me, it sits well, and I use this Mirror work daily as a means of soul retrieval. I can gauge the growth that has occurred after I embraced these painful pieces of myself and expanded my heart. But what I write below I’m still contemplating. On a side note, how I use the Mirror work I have developed into a course for women, more details click this link. Lately I have wondered about the people in my life, I have wondered if some of them are actually me. If I am them. Let me explain where this has come from. Now we’ve all heard the masters and sages say we are all one, sharing one consciousness, one energy field, we are all God, but the structure of many stories is based in this idea. It’s not uncommon that a few characters in a story actually represent the one character. 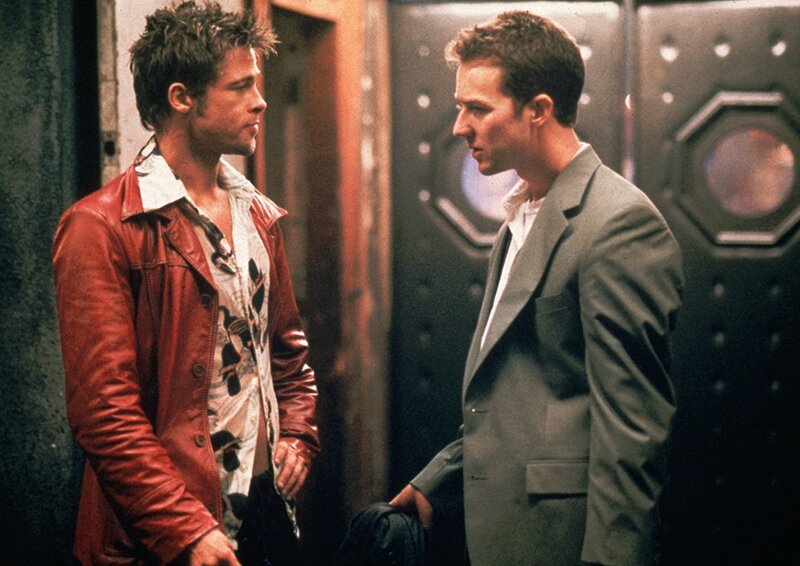 Remember Edward Norton and Brad Pitt in Fight Club, Pitt’s character Tyler Durden turns out to be Nortons alter ego, the man he’d like to be, handsome, fearless, confident. This is not my theory, this is what the story is about. Edwards Norton’s character meets his alter ego. Take Gladiator, I could be wrong about this but I suspect the Queen, Joaquin Phoenix’s sister is the star of the film, the whole film centers around her journey. So this is my theory, and not clearly explained in the film. 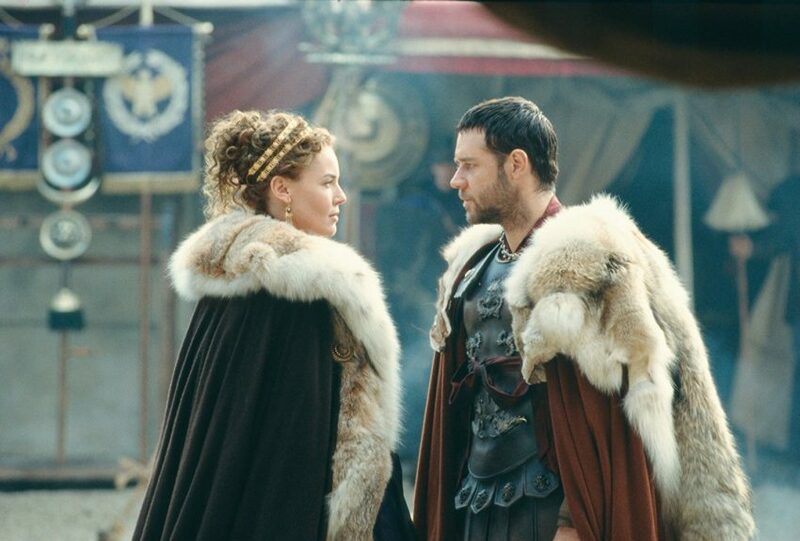 At the beginning the king wishes the queen was male so she could rule, she has the honesty and strength to do right for Rome. Then the king is killed by Phoenix’s character Commodus who represents the queens ego seeking power and control. 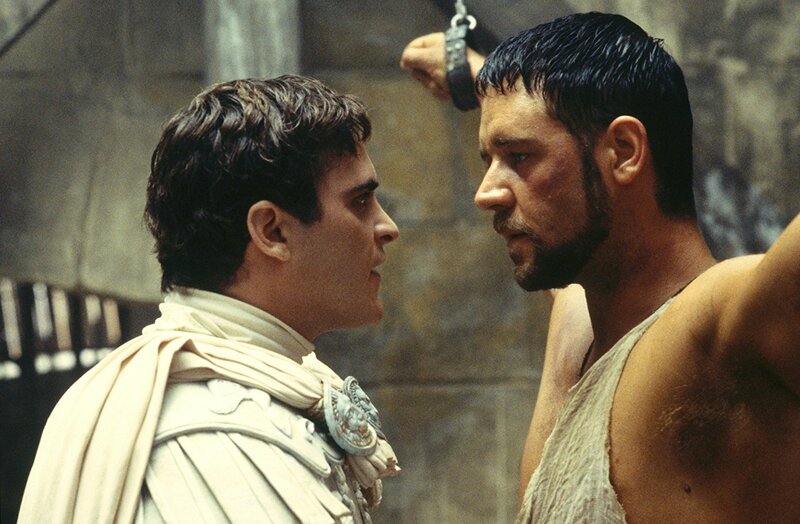 Commodus then takes the throne denying Russell Crow’s character Maximus who represents the queen’s higher self. But now Maximus is cast out as a slave and soon finds his feet and manages to rise above his role as an enslaved fighter. Ultimately the queens higher self, Maximus, kills Commodus, her ego, freeing her to rule, and in turn she returns Rome to the senate. One more, Revolver by Guy Ritchie. An underappreciated esoteric film. Not a great film by any stretch, I find it hard to watch, but a great spiritual story nonetheless. Jake is the central character. He is a very rich gambler, money has become his identity. 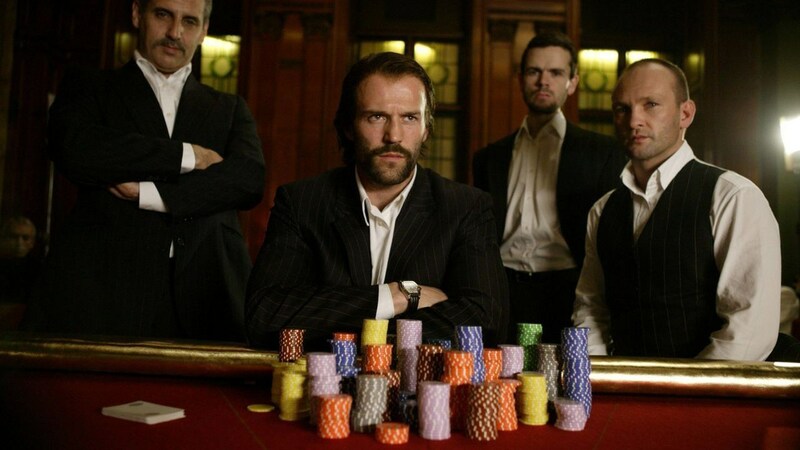 Two loan sharks demand all his money in exchange for their protection from a casino boss who plans to kill Jake. Now I’m aware most readers will not have seen this movie, so I won’t go into detail, but… *spoiler alert*. In short the loan sharks are Jake’s higher self, one of them literally says to him “We didn’t do this because we like you. We did this because…we are you.” So the loan sharks are Jake’s higher self who are stripping him of his money slowly to peel back his ego and set him free. The casino boss is Jake’s ego, wanting more money and power, image, to be feared. Jake’s journey is to overcome his ego and be set free. Revolver is a film about ego, how it hides from us, and how to transcend it, worth a few watches to let it sink in. The title Revolver was chosen as our lives revolve repeatedly until we get the message, and evolve. Each person faces the challenge to overcome their lower selves, over multiple lives, although sometimes it gets intense and are forced to face a lot of our shadow in a short space of time. If the painful vibrations that we feel when challenged are actually pieces of our soul returning to us to make us a little more whole, how do I know that the actual people close to me in my life, who reject me, or are suspicious of me, or I feel don’t accept me, how do I know these people are not actually, literally a piece of me? How do I know that my soul has not generated this being in my life, this parent, or co-worker to test me, to push me, to challenge me to find that love deep within my own heart? The short answer, of where I’m at right now is, I don’t know. I can’t tell either way. But whether this person is another facet of myself or not, the aim is to be at peace with them, via my own heart. When I am at peace with myself, I am at peace with the world, and I have no enemies. So these challenging people are simply teachers, we contract to come and test us, to draw up and reveal to us any emptiness within our own hearts. It is our job to fill ourselves up with our own love, and along the way give thanks to these teachers for showing us what we had overlooked within ourselves. After writing all of the above I left this article aside for a week, I felt there was more to add, I had no idea what, so I just waited. “Suppose there was a mirror that reflected all your negative character traits, all the reactive instincts you came to this world to transform. Now suppose you smashed the mirror and broke it into 1,000 little pieces. Each piece would reflect a different negative characteristic of your nature. Now suppose you scattered those pieces all over the place. Guess what? All the negative people in your life, all the negative situations and obstacles that you confront, all the things you see wrong in others, are merely additional pieces of that mirror. Each fragment reflects a different reflection of your own character. When you fix and transform a particular piece of your character, a fragment of mirror will reflect this transformation. You will begin to see the postiive aspects of other people. Situations will begin to change for the better. Sign up to my newsletter by entering your email address into the box below. Part 2 – Do You Free Market Bro?